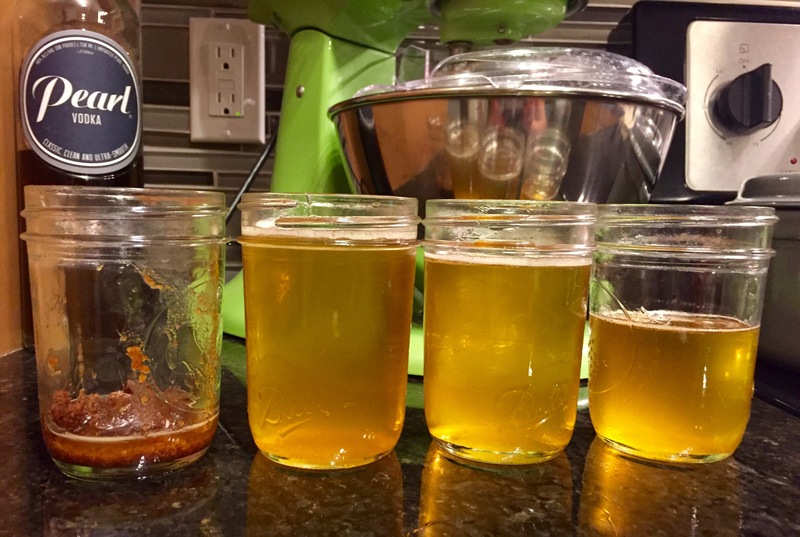 If you are familiar with ghee, you are aware how expensive it is especially ghee made from the highest quality of organic grass fed butters. 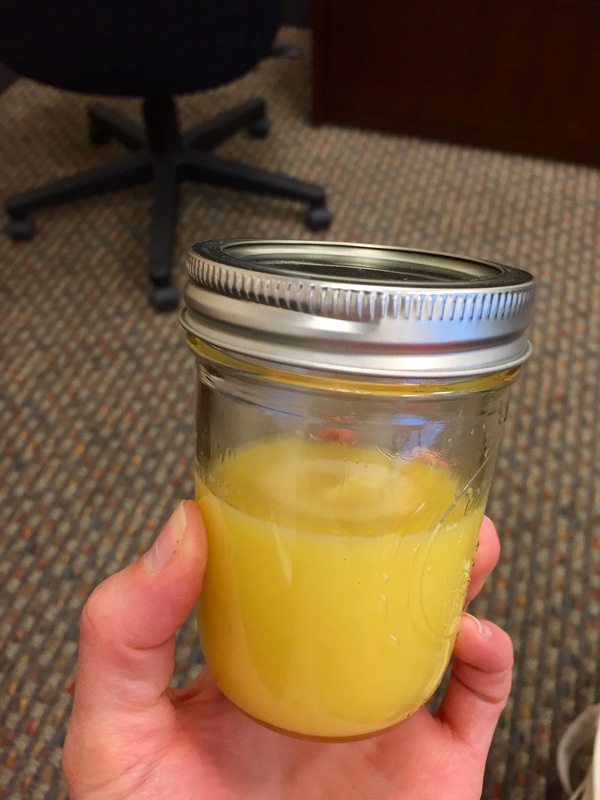 This is a great way to save money and enjoy the rewards of making your own ghee! 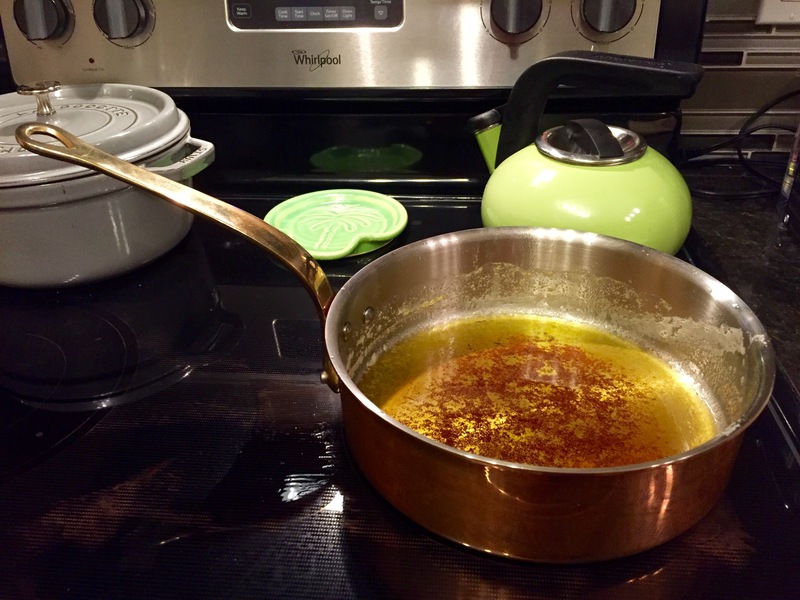 It is so smooth and more delicious than the store bought ghee I’ve tried and takes as little as 20 minutes for just over a pound of butter. All you need are some jars (I like the small ones for sharing), cheese cloth, sieve, butter, pan, and stove, of course. 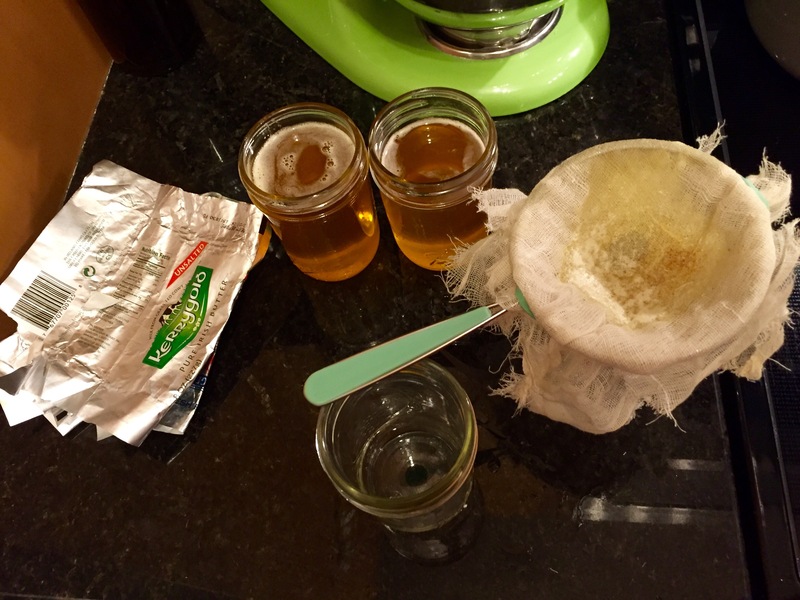 I used Kerrygold Pure Irish grass fed unsalted butter for my first ghee making experience. Next time I’ll upgrade, as it turned out great! 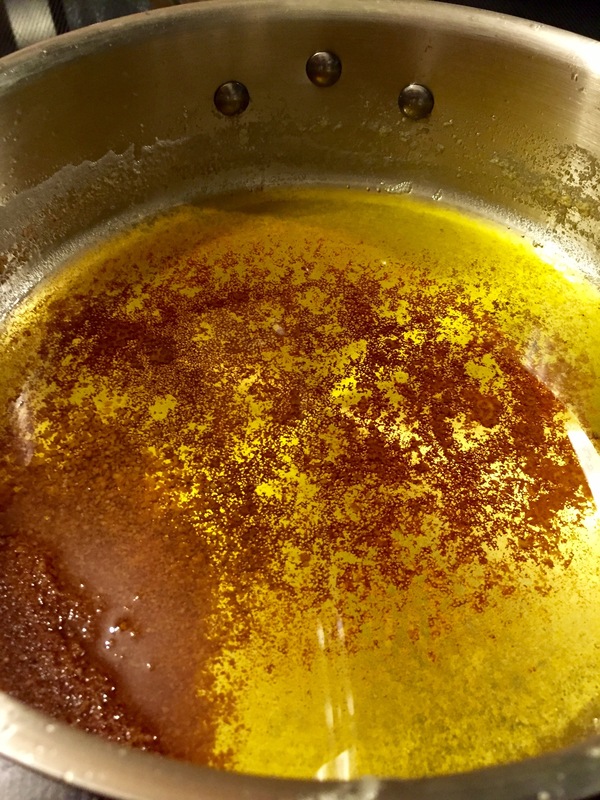 Cook the butter until it foams up twice and golden brown bits start to form. Then remove from heat and let cool and settle for a few minutes before pouring into the cheesecloth covered sieve. I saved the browned milk fat pieces for the next dessert I decide to bake. They make a great nutty addition to baking or even salad dressings.